I am a big fan of grass-fed beef. In fact, it is the only beef I will buy, for many reasons – largely because grass fed animals are treated far more humanely than those in CAFOs, or Concentrated Animal Feeding Operations. Grass-fed animals are pasture-raised, so they may roam around the farm as they please, rather than being caged in all day, and eat only “grass” (if it says 100%), without the use of hormones, antibiotics and GMO-grains that can affect not only the animals’ health, but yours, because you will ultimately consume some of what the animal ingested. Did you know that when cattle only or mostly consume grains (such as corn), their stomachs have a harder time digesting them, sometimes making the animals sick and requiring antibiotics? Millions of pounds of antibiotics are administered to farm animals each year. Have you seen this PBS documentary? They were created to digest grasses. Even the Bible says, “God will provide grass in the fields for your cattle, and you will eat and be satisfied” (Deut. 11:15). In addition, many of the grains fed to non-pastured animals are full of mycotoxins, or mold toxins, a growing issue in the food supply (and a story for another day). have significantly more Vitamins A and E and omega-3 fatty acids, which are vital to overall health, especially heart health, than other red meats. are super easy and also quick to prepare, unless of course you use a slow cooker, a tool I’ve recently started using and loving! This ensures you get the best of both worlds: Your taste buds enjoy a healthy meal, and your body will love the extra essential fatty acids and vitamins you’ll be feeding it! 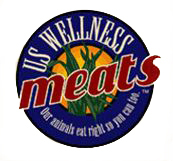 One of my favorite sources for grass-fed beef is U.S. Wellness Meats because they ship it express straight to your home. Click here for more info. Of course, your local grocery store should have some too, especially when you check out Trader Joe’s or Whole Foods. One of my first recipes is one adapted from US Wellness Meats. Check it out here. This entry was posted in Blog, The Path To Optimal Health on December 7, 2014 by Ilona.